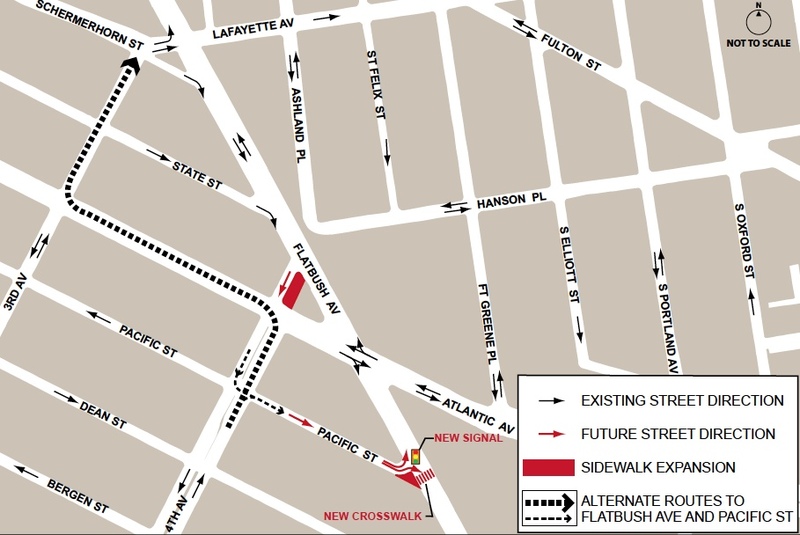 It's too soon to tell the full effects of the Forest City Ratner-devised, Department of Transportation-accepted plan to divert northbound traffic on Fourth Avenue so drivers can't make a left on Flatbush Avenue, but initial reports indicate confusion and frustration. 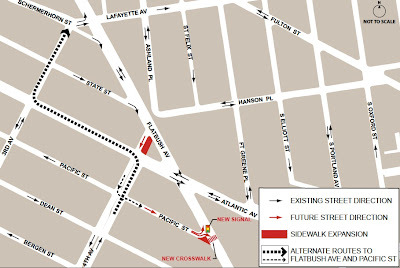 Drivers heading west must go left on Atlantic and right on Third Avenue to reach Flatbush, while those heading to the area around Atlantic Terminal must make a right on Pacific Street, which has reversed direction, then a hard left at Pacific Street. NY1 reported Atlantic Yards Project Causes Traffic Woes. CBS New York, with WINS, reported New Traffic Patterns Cause Confusion Near Atlantic Yards Project.